There are very few games that take a match-three formula and completely upend it to create something new. The World Next Door, rated T and currently available on PC and Nintendo Switch, does it with aplomb and vigor and a hint of otherworldly teen angst. What kind of game is The World Next Door? 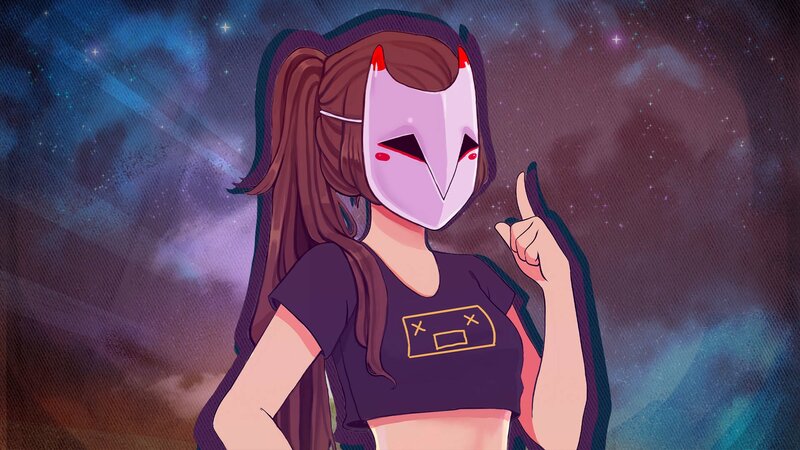 The World Next Door is part visual novel and part adventure with a match-three style combat system that allows players to move glyphs, cascade matches, and cast powerful spells against a small sampling of creepy enemies in a fast-paced environment. The story follows Jun, a rebellious teenager from Earth, on her 24-hour journey (that is suspiciously extended) to the "world next door:" Emrys. Jun's Emryn friends -- Liza, Horace, Rainy, and Cerisse -- show her magic and how to control the elements in combat. Why is it rated T? The World Next Door is rated T for content, not for violent gameplay. When an enemy is defeated, it keels over and lays there until it disappears. It's pretty simple. However, there is strong language that some parents may object to their older child or teen consuming. Personally, I don't see a problem with my 15-year-old daughter playing this game and seeing the odd curse word here and there, but information matters in making smart content decisions for our families. It's also important to note that there is a reference to alcohol at the beginning of the game (teenage antics in Emrys, I suppose) and the enemies range from creepy to downright scary-looking. How is The World Next Door different than playing Candy Crush? Traditional match-three games like Candy Crush Saga don't really have a story. There's a thready narrative woven throughout but it's not what keeps players coming back. The World Next Door is first and foremost a visual novel, which means that it's a story told in text and in pictures (and the visuals are stunning). What platform is best for playing the game? The best platform to play any visual novel on is handheld, because it's portable and easy to pick up and put down when you're done with it, rather than sitting at your computer or laptop, clicking through dialogue and potentially just getting bored with being chained to your desk. I played The World Next Door on the Nintendo Switch, exclusively in handheld mode, and it handled very well in the fast-paced combat puzzles. It's unrelenting, and the difficulty curve ticks up dramatically from the first "dungeon" to the next, but the Switch enables swift combat choices without compromising the game's accessibility. What makes The World Next Door special? Teen-friendly visual novels and adventure games are really hard to come by. Games like Danganronpa, Persona, and Zero Escape are all rated M for both content and violent gameplay. And while none of these games are considered visual novels, they certainly have elements (including a lot of exposition to read) that have been included in the visual novel genre. 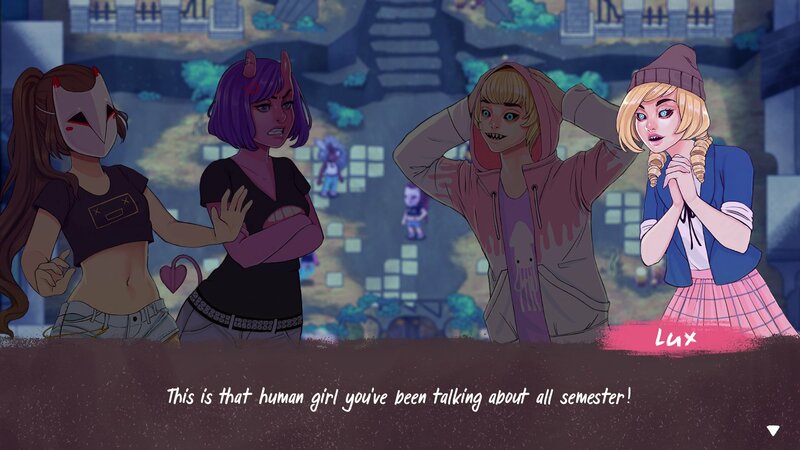 The World Next Door is a delightful teen drama that's heavy on irreverent conversations (much like how teens actually are in real life) while touching on important topics, like integrity in friendship, LGBTQ relationships, and living with the choices we make in how we speak to our friends (old and new). 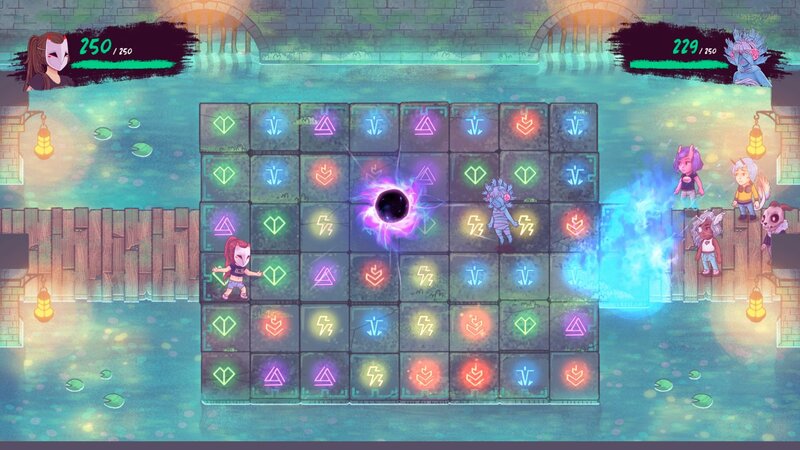 The fast-paced combat puzzles are a fantastic improvement on the match-three formula, but they're not the sole focus of the game. The story is, and the story is excellent. If you've been searching for a teen-friendly adventure game with some lightning quick combat, The World Next Door scratches that itch incredibly well. It's a rich, beautiful environment with interesting characters in a wide array of archetypes. It's fun, funny, and approachable from start to finish. I'd highly recommend The World Next Door for teens that are looking for something smart and funny, but won't take more than a few hours to complete. It's also replayable, which means that you can choose to delete your save and start from the beginning to make different choices, get better at combat, and finish side quests you might've missed. I loved The World Next Door and will definitely be playing it again soon.